Spitfire renowned, heavy-duty power cleaner quickly removes what other cleaners can’t. Use Spitfire to power away hundreds of stains from a wide variety of surfaces including kitchen areas. 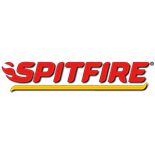 Spitfire® is the markets most beloved power cleaner.